Not everyone on the planet is lovable. A few aren’t all that likeable. Keep in mind that this is “lovable” and “likeable” from our own perspective. Individuals that we don’t care for at all usually have a few people who love them to pieces. In our personal lives, it’s a good idea to eschew people who do not share our fundamental values or are mean-spirited. We come to be like the five people that we hang around the most. Choose wisely. It’s okay to create distance between ourselves and people who are negative and make us feel bad. However, at work we don’t get to choose with whom we interact. Negative, callous coworkers and bosses are always a challenge. They are also pervasive; it doesn’t do a lot of good to leave one organization because another set of negative people will be waiting at the next place. More challenging still is the fact that great leaders care about everyone in the organization. The adage “People don’t care what you know until they know that you care” is true. One of the ways that leaders create personal influence is by truly caring about the health and welfare of their peers, employees, and bosses. In workshops, I get a lot of pushback on this topic. “How could I possibly care about this person?” they cry. There is a way to create empathy for everyone, but it requires some work and determination. I remind them that no one said that it was easy to become an exceptional leader. One of the best ways to shift our attitudes and feelings about even the most unlovable people is the Loving Kindness Meditation. Its results are well-researched. Loving Kindness Meditation increases our empathy for others, as well as our feelings of friendliness and compassion. The meditation is easy. There are no right or wrong ways to do it, but there are guidelines. You can search online and find all types of Loving Kindness Meditations. Many of my participants like the Christian versions. What’s important is that we create statements to use in the meditation that have the most power and meaning for us. May I be filled with loving kindness. Then, we say the same phrases while thinking of someone with whom we feel close. We start by thinking, “May [name of loved one] be filled with loving kindness.” It’s important to hold onto the positive feeling while thinking each phrase about our loved ones. Then, we move on to someone that we feel neutral about, someone we don’t really care for, and finally everyone in the world. Use the same three to four phrases each time. Research shows that this specific type of meditation also increases positivity – which is another important foundation for the lives of leaders. A positive attitude motivates others and increases workplace morale. In case you need some more motivation to take on this daily practice, here are some more benefits that result from an increase in positivity: increased resiliency, increased satisfaction with life, less inflammation in your body, increased broad-mindedness, increased immunity to viruses, better ability to connect with others, less depression, and better focus. Wow! That’s quite a list! Who doesn’t want all that? This practice can be a game changer in our lives. We will see results with 10 minutes of meditation five or six times a week. The challenge is to incorporate Loving Kindness Meditation into our lives for eight weeks. By then, we should see results that will have positive effects in both our personal and professional lives. Remember, the key is to hold on to positive and expansive feelings while thinking the phrases. The words alone won’t create any change. Empathy and caring are skills that we can develop. The ability to see a person as a person and not a nuisance or a bother is crucial for leaders. We can’t influence or motivate someone until we have created a positive relationship with him or her. Ultimately, a leader’s job is to help everyone to be successful – that’s a lot easier on both sides if we genuinely care about the people we are helping. Quite a few people have recently told me that tracking Emotional Pennies has been a life changer for them. Below is a blog that I wrote about Emotional Pennies back in 2015. The concept is so powerful that I want to make sure that as many people as possible have a chance to use it to transform their perspectives and lives. For those of us familiar with the concept, it’s a good reminder to check in on our Emotional Penny use. It’s a good idea to check in every now and then to be sure that we are being intentional in the use of our Emotional Pennies. We usually think about time as the limiting resource each day. We never seem to have enough time! However, we can use the time that we have more effectively if we learn to manage another valuable and limited resource – emotional energy. How many times do you fall into the overstuffed chair at the end of the day and spend precious moments watching whatever is on TV because you feel too tired to do anything else? We only have so much of ourselves to give each day. Think of the emotional energy that you spend each day as Emotional Pennies. Imagine that you start each day with 100 Emotional Pennies. You can’t carry any over to the next day, and the goal is to end up with as many Emotional Pennies as possible at the end of each day. The more pennies you have at the end of the day, the more energy you will have to enjoy your evenings. Some common things that we all spend emotional energy on are work, family, health, other people’s problems, spirituality, friends, and things over which we have no control. Your list may not have all of these items and probably has quite a few more. Which of these are wise investments, and which are wastes of our Emotional Pennies? A totally silly way to spend Emotional Pennies is on things over which we have no control. My personal pet peeve is when someone gets angry and cross when his or her favorite professional team loses. Tying your sense of well-being and happiness to a group of people you do not know and over whom you have no control seems about as absurd a being angry over which direction the wind is coming from. The first step in limiting our unnecessary expenditures of emotional energy is to pay attention to how we are spending our Emotional Pennies. In everyday life, we want to invest our emotional energy in things we enjoy, people we love, and situations that we can change for the better. A good test question to ask is: “If I face this situation and invest some emotional energy into it, can I resolve it so that I never have to put another Emotional Penny into it again?” If the answer is yes, go for it! Break off the relationship, improve the situation, and/or release that old resentment! As a general rule, you want to avoid any situation that constantly drains your emotional energy with no hope of the situation improving or resolving. However, sometimes you have to invest a bit before you figure out that you are facing a lost cause. For example, we tried to work with the school to make it a safe and healthy environment for our youngest son, Andrew, when he was in 7th grade. He had asthma at that time and was allergic to dogs. There was a helping animal in the school for one of the other students. I spent tons of Emotional Pennies at the school talking to the principal, guidance counselor, assistant principal, and teachers. I could not get them to keep the dog and Andrew apart. It took me awhile, but I finally realized that I couldn’t change the situation. My options were to continue spending almost all of my 100 pennies at the school each day or to get us all out of that particular situation. In the end, I homeschooled Andrew for the rest of that school year, and none of us ever regretted leaving that penny-sucking, black hole behind. 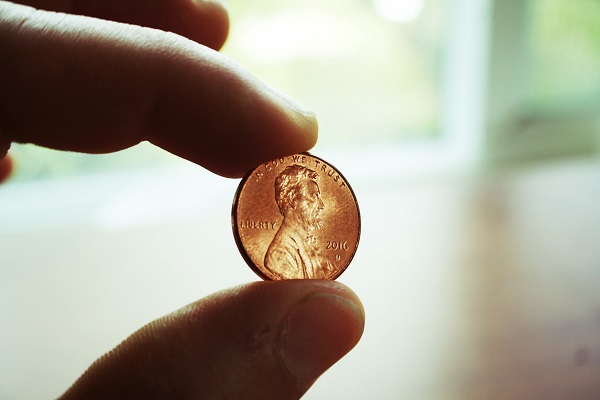 Emotional Pennies are a great tool to help us put the moments of our day to best use. We can dramatically improve the quality of our lives by spending our Emotional Pennies with intention. By spending on things that give us a return investment in love, support, and satisfaction, we can create a life that doesn’t exhaust us. The ability to be completely present with another person during a conversation is a powerful skill and a hallmark of great leaders. The goal of an outstanding leader is to create positive relationships with the people around him or her. One of the ways to build positivity is to meet people’s need to be listened to, understood, and respected. Many times, leaders are pushed for time and listen with only one ear. I often hear participants in my leadership series complain of bosses who talk to them while facing and typing on the computer. Not being fully present during conversations is the downfall of many leaders. 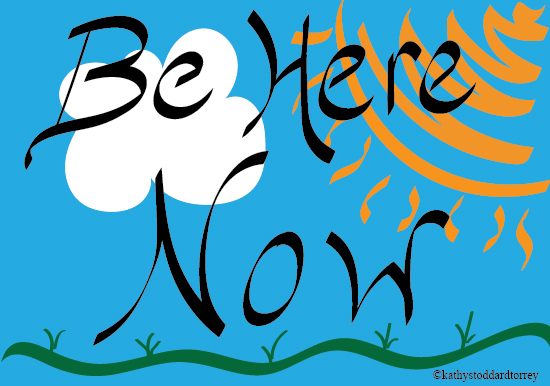 It’s not surprising that we find being present in the moment so difficult. It is a skill and like any other skill it requires intentional practice. Of course, one way to practice is to practice listening well to others. In coaching, we talk about Listening Levels I, II, and III. At Listening Level I, I’m not really listening to you much at all. I’m thinking about what I want to say as soon as you stop talking and what I need to do after we finish talking. At Listening Level II, I am listening intently, but not catching all of the meaning. At Listening Level III, I am fully present and listening for understanding. I am paying attention to your words, your tone of voice, your facial expressions and your body language. I am curious about it all and ask a lot of questions. Listening Level III is required for one to be fully present. Listening Level III requires a lot of mental discipline and the ability to focus your attention on one thing. Another way to practice those skills is with mindfulness exercises. Mindfulness is focusing on one thing or moment at a time. An easy way to begin honing your mental focus is to sit quietly and pay attention to your breath. Then pay attention to the small spaces when an inhale becomes an exhale and when an exhale becomes an inhale. Any time your mind wanders, bring it back to your breath. As with any skill, the more you practice, the better you get. Simply paying attention fully to anything that you are doing can turn it into a mindfulness exercise. Being fully present with someone and listening to him or her at Listening Level III is a wonderful gift to both the giver and receiver. It builds positivity in the relationship and strengthens the connection between them. 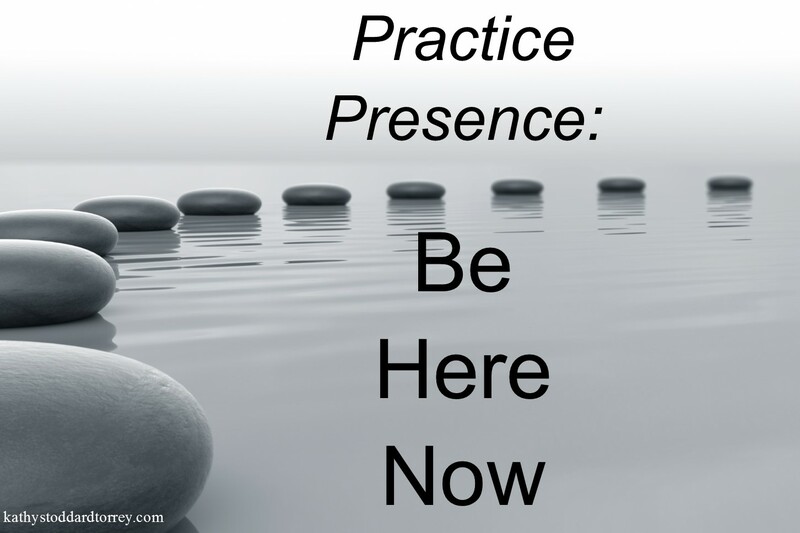 Being present is a powerful way to improve personal and work relationships. It’s even a great gift to give yourself. I had a revelation while meditating one morning. It wasn’t a World-Altering Revelation. It was more of a Well-That-Will-Make-Life-Better Revelation. Frankly, I have those pretty often because I’m a thinker, an analyzer, a how-can-we-make-this-easier kind of person who usually has her brain turned on and in high gear. I don’t meditate as regularly as I’d like, but I’m working on it in light of research by Richard Boyatzis, coauthor of Primal Leadership. He found that one of the antidotes for leadership burnout is mindfulness and that can be achieved with meditation. (In case you are wondering, the other avenues of renewal are compassion, playfulness, and hope.) The key in all categories of renewal is that you must do at least one from any category EVERY DAY! You have to work at rejuvenation! Well, that isn’t exactly true and the idea of “working” at meditation was altered by my morning revelation. I’ve always looked at meditation as an exercise in self-discipline and mind control. The goal is a sort of Vulcan-like ability to stay laser-focused during meditation. The result is the ability to carry that focus and calm out into the world. Don’t get me wrong, self-discipline is important; it’s one of the major pieces of Emotional Intelligence, but it wasn’t helping me on the renewal front as a way to meditate. Convincing my brain to sit still and be quiet is exhausting, not rejuvenating! I discovered my new way of viewing meditation by accident. I was trying different mantras and imagined what words or sounds my leadership series participants would come up with if I had them do this exercise with me. With each inflow and outflow of breath I could hear them thinking, “Hate…… this” or “Help….. me.” They have resisted my meditation exercises in the past. It occurred to me that getting into the PEA was the real fuel for renewal. I felt lighter, happier, and more relaxed as I continued to visualize happy thoughts. I maintained the focus on the feelings I was having, and it felt like I was activating my heart. I like that phrase – activating your heart. The lovely side effect of activating the heart is that it deactivates the brain. When I focus on feeling, it’s really hard to think. What I realized is that for meditation to have a regenerative effect for me, it must be an exercise in feeling and activating the heart. Once my heart is in the driver’s seat, my brain really can get some rest and that results in me being a calmer, nicer person. Now that I think about it, this revelation could lead to a more positive world if we all managed to improve our outlook and increase our positivity through heart-activating meditation. Maybe it was a World-Altering Revelation after all.